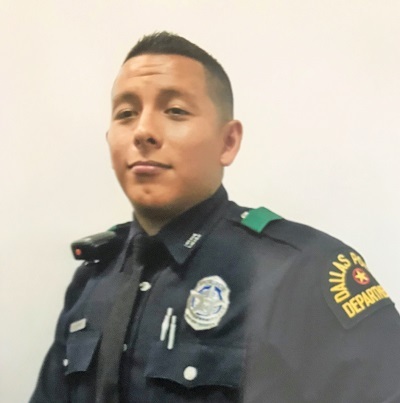 Recently, Officer Rogelio Santander of the Dallas, Texas, police department was responding to an ordinary call: a thief at a Home Depot. As Officer Santander and his colleagues attempted to arrest the outlaw, the crook pulled out a pistol and started blasting away at the officers. All three officers responding to the call were critically wounded, the criminal’s bullets hitting their mark as he cowardly ran away from his crimes. Police Officer Crystal Almeida and a civilian Home Depot employee were shot and are now recovering from their wounds. At just 28 years of age, Officer Santander was murdered in the youth of his life. Another member of the thin blue line killed simply because he wore the badge to protect and serve the rest of us. A man of many hats, the 3-year veteran of the force was a member of the rare breed, the American breed. His fellow officers, friends, and family members remember this Texas law man, Santander, as a person who always went the extra mile to protect and serve his community. Without fail, he encouraged his friends and family to be the best version of themselves during their life. Peace officers like Santander are the last strand of wire in the fence between the law and the lawless. We mourn his sacrifice, but we thank the good Lord that a remarkable man such as he has ever lived.